Produce epic and inspiring orchestral film scores. 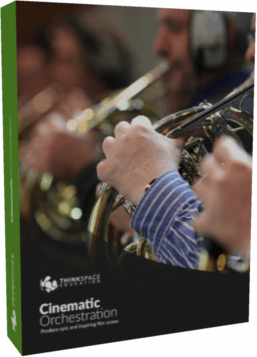 If you want to learn how to orchestrate for film, television or games using either samples or live players, then look no further than Cinematic Orchestration. Taught by top Hollywood composers and orchestrators, this course will show you how to produce epic and inspiring orchestral film scores using the techniques developed by the film and television industry. This online course gives you a comprehensive training in sampled orchestration as well as over 30 hours of in-depth tutorials with some of the world’s leading session musicians, orchestrators and composers. Hours of over-the-shoulder videos showing you exactly how to master the technology and produce stunning orchestral mock-ups. Watch as top film orchestrators go from first sketch through to live orchestral recording with our own 50-piece film orchestra. Top film Hollywood orchestrators explain how to approach major motion picture and video game projects and produce scores using industry standard practice. Access all of the materials online forever, or download them to read/watch/listen to offline – an invaluable resource you’ll be going back to over and over again. What are you waiting for? – Enrol now and see why composers and orchestrators have used CO as a spring-board for their careers. How Each Section of the Orchestra Works – Learn from top film session players with credits like Batman Begins and Star Wars as they explain how to write for their instruments. Professional Film Session Skills – Practical professional techniques for creating scores that session musicians can play easily, keeping you on time and on budget and removing the fear of working with live players. How film orchestrators get that classic Hollywood sound you know and love – You will learn the techniques that lie behind some of film and games industries best loved orchestral sounds. How to create vivid and life like orchestral mockups – How to create an orchestral template, choose sample libraries and produce professional grade sampled orchestration. Cinematic Orchestration has been created by working professional composers and orchestrators. Watch Nick Raine (Book Thief, Goldeneye 007, Empire Total War), Bill Boston (Cloudy with a Chance of Meatballs) Charles Fernandez (007 Spectre Trailer) and many more showing you how to do what they do best. We take you right inside the world of the commercial orchestrator and composer to give you the inside information to bring your career to life. Choose the Gold Edition and get personal feedback on your assignments from a working professional composer or orchestrator, somebody who really knows what’s going on in the business right now and can help you upgrade your music and step up to the next level. Welcome to our world: Introducing our live orchestra, different approaches to sampled and live scoring and workflow, take-downs and how to orchestrate from audio files. 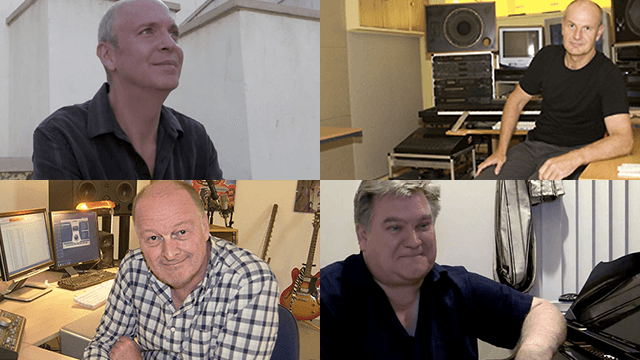 Top session musicians who played on Iron Man, Kung Fu Panda, The Chronicles Of Narnia, Madagascar 2, Gladiator, Dark Knight and hundreds more, explain how to write for their instruments. Watch as James Bond orchestrator Nic Raine arranges a piece from scratch in Sibelius, then records his work with our own live string orchestra. 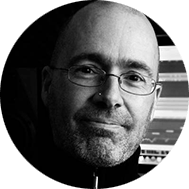 Award winning composer Guy Michelmore gives you a detailed look at creating realistic sampled string arrangements. Learn about individual woodwind instruments and how to write for them with top session player Jamie Talbot. How to produce a convincing sampled woodwind section and the library choices available to you. Course orchestrator Nic Raine arranges a piece for woodwind and strings, then records his work with our live orchestra. There’s a real-time sampled scoring demonstration of writing for woodwind and strings with Guy Michelmore. You’ll take a detailed look at the ranges, articulations, strengths and weaknesses of the individual brass instruments, with top session players with credits from Harry Potter to The Dark Knight. Brass writing tips, tricks, applications and secrets plus an exclusive master class in swing band writing with prolific arranger Steve Sidwell. Again we arrange a piece from scratch and then record it with our live orchestra. Finally a real-time scoring demonstration of writing for sampled brass with Guy Michelmore. This unit looks at the highly technical area of writing for both harp and percussion. Then we’ll show you how to create that wall of sound percussion track with samples and real-time scoring demonstrations. Bringing it all together with specific techniques and considerations for getting the most out of smaller orchestras and ensembles, including a bar-by-bar analysis of The Snowman with the composer, Howard Blake. A bar by bar analysis of the Main Titles of Star Wars with Hollywood orchestrator and composer Charles Fernandez followed by live orchestration demonstrations from piano score to final recording of film cues in different styles with Nic Raine. The unit concludes with a detailed guide on how to create that epic orchestral sound just by using samples. From sequencer to score, we’ll show you how to take a MIDI demo and turn it into a performable piece of music. 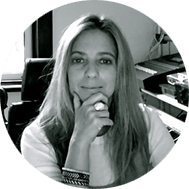 We’ll also explore the million and one things you need to know about preparing scores, parts, backing tracks, click tracks, running orders, mix minuses, Pro Tools session and a lot more besides. Everything you need to know about how sampling works, the technology, the libraries and the developers; it’s all included in this bonus unit. There are demonstrations and video tutorials of everything including: how to use multiple articulations and controllers, MIDI performance techniques, how to overcome various sample limitations to achieve a realistic sound, plus many more. There are also video interviews from Vienna and LA with the men behind both VSL and the EWQL libraries and more! Our technical requirements are really the minimum you would need to do the job in the real world. That means a computer based sequencer capable of importing enough instruments, virtual or otherwise, to record a demo of your music, and a score-writing program. Quad core computer with at least 8gbs of RAM. A computer based sequencer capable of importing QuickTime movies. These include, Cubase 8, Logic Pro X, Pro Tools, Digital Performer 9, Reaper, Ableton Live. (Also Sibelius, Finale or another score writing programme for Cinematic Orchestration). This is not an entry level course. Most students have at least 12 months experience of making music. For most of our courses you do not need to read or write music but you do need to be able to create a piece of music and record it with reasonable fluency. For Cinematic Orchestration and our Harmony courses you do need musical literacy to ABRSM Grade 5 or equivalent standard. Students are required to purchase two scores, John WIlliam’s Star Wars Suite, currently $75. and Howard Blake’s The Snowman. Both recordings are available on iTunes and on Spotify. Availability in some countries may vary.